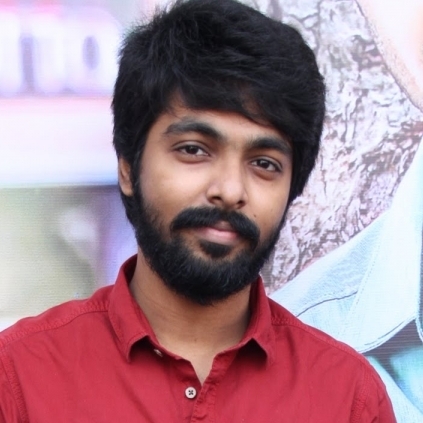 A SURPRISE FROM GV PRAKASH ON NEW YEAR'S DAY! GV Prakash is currently gearing up for his next release, Bruce Lee, directed by Prashanth Pandiraj, co-starring Kriti Kharbanda. The film is slated for a Pongal 2017 release. Meanwhile, he is currently in Trichy, shooting for his film, Adangathey which also stars Sharath Kumar and Surabhi. This film is directed by Shanmugam Muthusamy. The filming is happening at a brisk pace and its nearing completion. GV’s next release after Bruce Lee will be Adangathey. Sources say that 80% of the filming has been completed and the team is looking to release the first look posters of the film for New year's day 2017. GV Prakash is now extremely busy with a handful of films with regards to his acting and music direction. 2017 will definitely be a busy year for him! Top 10 collecting films of 2016 - A popular theatre’s report! People looking for online information on Adangathey, GV Prakash will find this news story useful.